It is early Monday morning, and your housegirl did not turn up last evening from her day off. 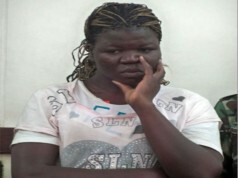 She did not call or text, and when you tried reaching her, her phone was mteja or it was going unanswered. But you MUST get to work because of the meeting that you cannot miss. None of your relatives is available to help watch your baby, and even if there is one, she is at the other end of town and with all the Nairobi traffic, you will waste your entire morning on the road. Your housegirl has requested to take both Saturday and Sunday off to attend to some personal matters. She has given you ample notice, but you still can’t cancel your Saturday engagements. And you can’t find anyone to sit your babies. You have a day-bug housegirl, but she calls you in the morning as you are preparing to go to work, telling you she can’t make it to work because of the matatu strike, she is unwell, or her child has fallen ill. And you must go to work. Your housegirl is not feeling well and requires to be on bed rest, or take a few days leave. Obviously she can’t take care of your little ones. But you’ve exhausted all your leave days meaning you must go to work. You are so tired of the drama of live-in housegirls, and you now prefer to leave your baby at a day care center as you go to work, and pick him/her up as you head home in the evening. But you don’t know of a good, clean, reliable and trusted place where you can leave baby. Is there such a place? Your child is in lower primary, and they leave school in the early afternoon. Yet, you don’t quite have have somewhere reliable where he can while the time away before you return home from work. Is there a place where you can take him, where they can spend those few hours before you pick him? Somewhere where he can be doing his homework and engaging in other meaningful activities? Now, if you have ever, or incase you are ever caught up in any of the situations described above, then you will be pleased to know that there is a day care center where you can comfortably leave your baby while you go tend to your other duties. 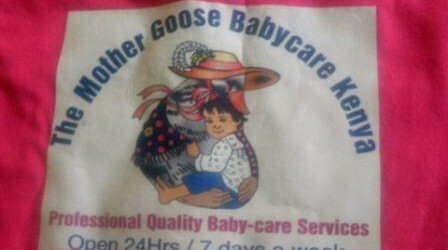 MOTHER GOOSE BABY-CARE KENYA, is the place. 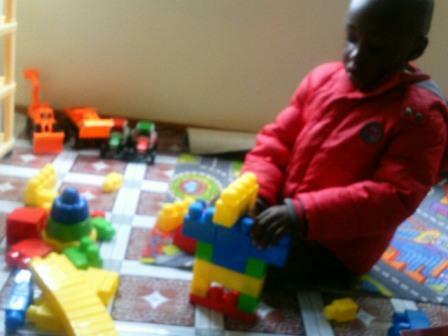 It is located in Langata Estate, Nairobi, and has skilled, trained, and caring nannies –who have all undergone training in childcare management and caregiving. 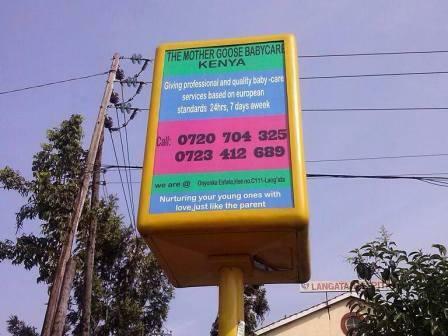 The Mother Goose Baby-Care Kenya takes babies from as young as 3 months. The nannies taking care of these little ones, ensuring that they are held, cared for, carefully watched, and above all –encouraged to explore the little world around them. The nannies strive to ensure that when you return to pick your little one up, you will be greeted by a cheerful, clean, healthy and smiling baby. Mother Goose takes care of these babies according to their own individual schedules. That is, they feed a baby when he is hungry, change the diaper very often and a baby takes a nap when is sleepy. For that reason, the center works with each individual parent to come up with a schedule that fits best the baby. NB: On some occasions, photos of the days’ activities are made and put on the walls. 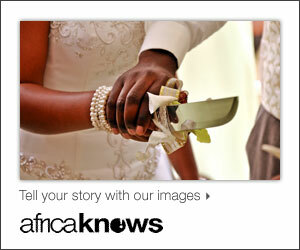 Parents can get a copy of their child’s ‘good moment photo’ if requested. Parents are also able to see the nursing forms of their children, which shows how many times the baby was fed, diapers changed, and the general appearance of the baby for the whole day. When you leave your child, you have the option of bringing their food along, or you can allow them to eat meals provided at the day care center. The meals are of a balanced diet, freshly cooked and prepared in a very hygienic kitchen. Different menus are offered for children and feeding records kept for each baby. Monday to Friday, 6.30 a.m to 6.30 p.m. This program is for infants and toddlers whose parents work full-day. 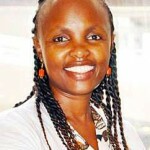 The child can be dropped at The Mother Goose Baby-care Kenya center from 6.30 a.m. and picked not later than 6.30. We encourage that parents who prefer to this program to register as permanent parents for cheaper monthly fees. Drop-ins and half day program for infants and toddlers. The program does not have any specific time to drop or pick the young one. Drop-ins are for temporary parents who will bring their children to the center when the need arise. Therefore, they are temporary parents. Drop-ins full day is for not more than 10 hours and half-day spending is child care for not more than 5 hours. However, a parent can register as a permanent parent for daily half-days. Go to rates page for charges. 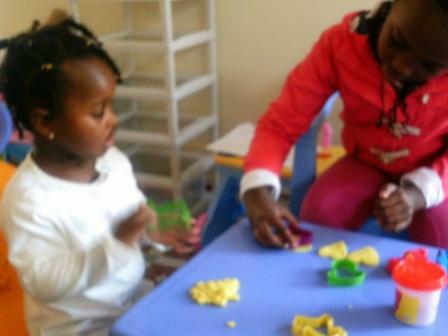 School going afternoon program Monday to Friday 3.00 p.m. to 6.30 p.m. After the lower primary school leave their schools early in the afternoon, they come to spend the rest of the day at The Mother Goose Baby-care Kenya, before the arrival of their parents in the evening. 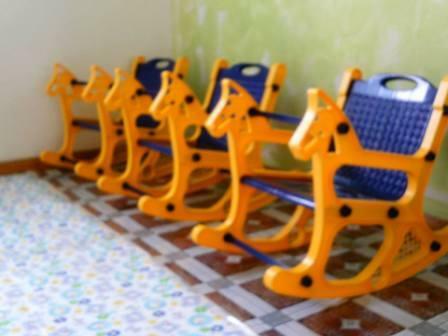 At the center, they do their homework and enjoy the activities planned for them by their caregivers. 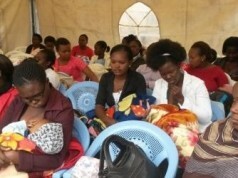 The Mother Goose Baby-care Kenya weekend program. This program is for infants and children of not more than 12 years. Saturday and Sunday program begins from 7 a.m. till 6.30 p.m. weekend program suits parents working during the weekend or busy with other activities. 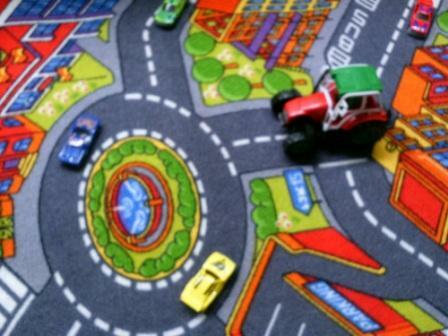 Children spend their time at the center with fun making events or visit other places for learning and experience. Night shift program, Monday to Friday, 6.30 p.m. to 7.00 a.m. 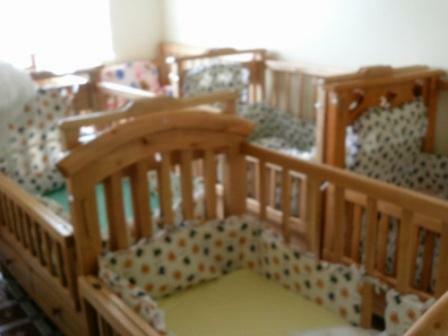 The program is for infants and small school-going school who cannot be left alone at night when the parent is working. Weekend nights program 6.30 p.m. to following day at 7 a.m. 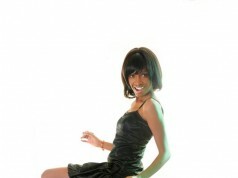 This program favors parents who need to have their romantic time alone without the interference from their little ones. Click here for the center’s charges / rates. 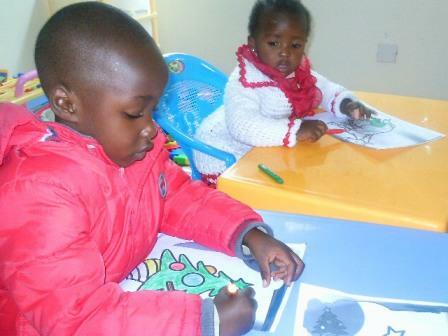 NB: All programs of The Mother Goose Baby-Care Kenya are planned by a team of qualified and professional staff who ensure that they not only cater for the needs of all parents who may be interested to their services, but they offer maximum fun, learning and enhance positive development to all children. Visit the Mother Goose Facebook page for more details. 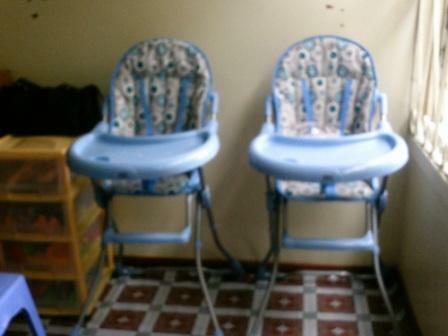 Contact Details: 0723 412 689 or email: mothergoosekenya@gmail.com. The Mother Goose Nanny Agency Kenya which offers various types of nanny work groups (live-in nanny, live-out nanny, part-time nanny, night nanny, weekend nanny, holiday nanny, au-pair nanny, mother’s helper, personal assistant or house manager. Training of nannies. See this link for The Mother Goose Nanny Course Outline. I hope now you know you are well sorted –if and when the need will ever arise. Wooooow a very informative article. Now i know what to do should it happen to me the day God’s blesses me with a baby…..